Hi there! New freebie from me, wall calendar with changeable photos for coming 2019 year. Clean grid with free google font and Cormorant google font for headers. 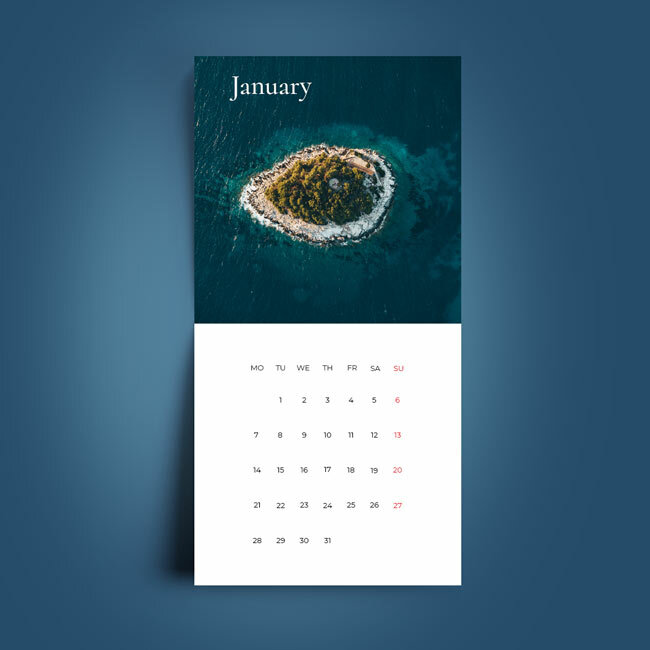 Absolutely free calendar template availabel now.